PUNE: Opening new opportunities for Indian students, a senior delegation led by Professor Paul Mather, Head of La Trobe Business School (LBS), La Trobe University (LTU), Australia, visited India and elaborated new schemes for Indian students. In response to student demand from India, LBS had introduced a new intake for its Undergraduate Business Courses in November, in addition to the two Semesters in February and July. A few years earlier, La Trobe Business School introduced a third semester for its Post Graduate courses, which is now very popular amongst students in India; Sri Lanka & Nepal. In addition, new programs have also been introduced to meet the needs of Industry and the latest trends in the job market. La Trobe University has jumped more than 200 places in just two years and makes us Australia’s Most-Improved University in that period as per latest Academic Ranking of World Universities (ARWU) results. La Trobe University is now ranked at 301 in the world in 2017. This is our best ever result in the respected ARWU rankings. Our continual rise in the ARWU is the result of the hard work and dedication of all staff to ensure that we continue to perform well in these international rankings said Professor Paul Mather. Once again La Trobe Business School, Australia, is offering scholarships to the value of 15%, 20% and 25% of the total tuition fee for undergraduate as well as postgraduate International students commencing in 2017. These scholarships are merit based and will be offered to students based on their prior academic performance. These scholarships will be offered to students on a first come first serve basis. 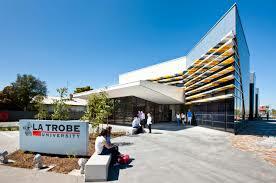 La Trobe Business School, Australia, has introduced new Programs such as the ‘Master of Professional Accounting (CPA Australia Extension), ‘Master of Professional Accounting (Business Analytics), ‘Master of Professional Accounting (Information Systems Management) and the revised Bachelor of Business and Bachelor of Commerce degrees for both Domestic and International markets.